Doctor’s Farm is situated off KOLAD, on the Mumbai-Goa highway. It is about 115 kms from Chembur, about 75 kms from Panvel S.T. 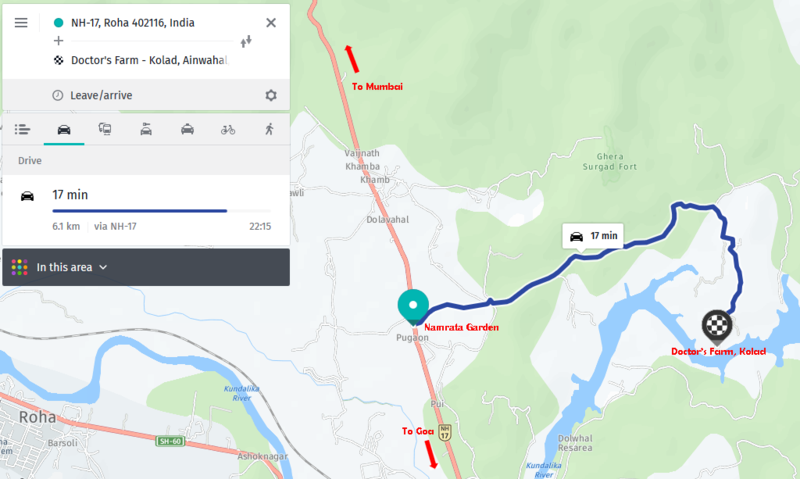 Stand, about 100 kms from Thane and about 100 kms from Mulshi in Pune. 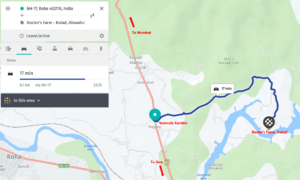 The approximate time taken to travel from Mumbai to Kolad by road would be around 2 ½ hours. Unfortunately, Google Maps does not recognise our internal road. Check the link above for Here Maps (most accurate).